Summer is here at last! I’m pretty sure I look forward to summer break as much as my kids do. Here are four things I plan to do this summer. 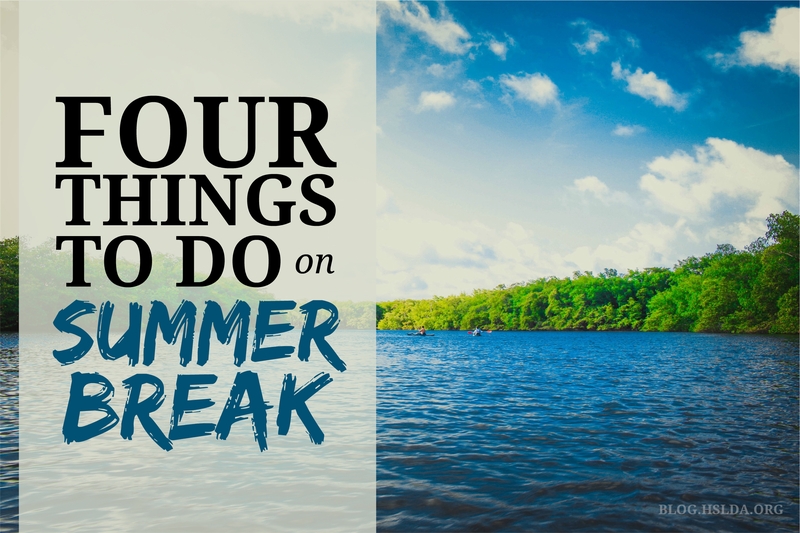 1) DECOMPRESS – Summer is our season to rest from our regular school routines. We have hit the books hard for nine months. To avoid burnout we take a much-needed break. In summer our schedule is more relaxed, the alarm gets set for a later time or not at all, we take longer periods of time to read just for fun, or sit at the pool, or take long bike rides. 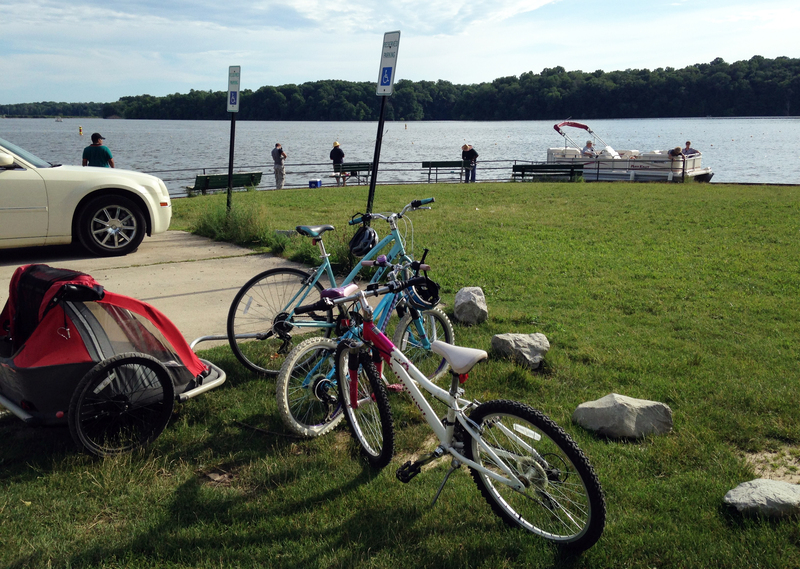 2) MAKE FUN MEMORIES – I always try to be really intentional about integrating family fun, especially in the summer. We are happier and we are a more cohesive family unit when we have fun together. I can instruct my kids 24/7, but that won’t be worth much if I don’t have a close relationship with them. I want my kids to have a large bank of good family memories to take with them when they start their own families someday. • Take a vote: should we go bowling, roller skating, or mini-golfing? Sharing good books and stories has also helped to make our family closer. We love listening to audio books in the car when we are on the go! 3) REVIEW A BIT – One of my main objectives this summer is for my kids to not forget everything! I’m only slightly kidding. Thankfully we live in the Age of Apps. My kids rarely complain when I tell them to do 15 minutes of math facts review, using an app on my phone. Our favorite math facts apps are Math Bingo and Math Magic. Math Bingo has these cute fuzzy monsters that you can play with once you have completed a row. Math Magic rewards kids with virtual “stickers” for getting correct answers and difficultly levels can be easily selected. We also love Quizlet, an online resource and also an app. This summer I am having my oldest daughter review her Latin vocabulary once or twice a week using Quizlet, but it can be used with any subject. Even though we love to play and relax during the summer, kids need some routine and structure. By implementing some morning reading and some review, everyone benefits and everyone is happier. 4) LEARNING ENRICHMENT– Most homeschool families I know have a knack for integrating learning during their everyday experiences or vacations. When you have a homeschooling mindset, this doesn’t go away even though it’s summer break. I always have things in mind that I want my kids to learn. Although we are not a year-round homeschool family in the sense that we put away our textbooks for the summer, we are always intentional about learning. This summer, we plan to learn through library programs, nature center programs, nature hikes, and reading about our state history and visiting some of the historic places we read about. Learning in summer is always fun! What are you doing this summer? I’d love to hear how you like to enjoy summer, your plans for family fun, or your plans to integrate learning.